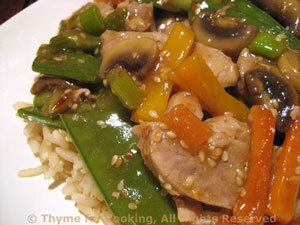 Thyme for Cooking Dinner tonight: Stir-Fried Pork with Snow Peas. Another classic - Pork and Snow Peas. And, likely our last stir-fry until fall.